Vietnam Grand Prix: As Valencia’s F1 track lies abandoned and in disrepair, can Hanoi learn any lessons? Formula 1’s desire to attract new markets in the far East shows no sign of abating with the expected addition of Vietnam to the calendar. But as I discovered on a recent trip to Valencia, Hanoi may have lessons to learn from the many circuits which have succumbed to the extortionate costs involved. For five years it played host to one of the biggest sports on the planet, attracting crowds of more than 100,000 with millions more watching on TV around the world. But where locals once roared their Spanish hero Fernando Alonso onto one of his greatest ever triumphs in 2012, Valencia’s beachside F1 track is now abandoned, crumbling like a sandcastle. Strewn across the tarmac lies discarded catch fencing, broken lamp posts, old concrete bollards and smashed glass. A circuit once the scene of some memorable wheel-to-wheel battles and overtakes has been overcome by weeds. In reality, Valencia’s once-gleaming F1 facility received little more love when it was on the calendar than it does now. Those on-track battles were few and far between. Critics blamed a poor track layout for failing to create great racing. At its fifth attempt Valencia did, in fairness, come up trumps – Alonso putting in a breath-taking display of race craft to hustle his lacklustre Ferrari to a thrilling victory from 11th on the grid. It would be the Spanish city’s last hurrah in Formula 1. Six years on, there are no new racing memories from this now-desolate wasteland. Amongst the old red and white kerbs and uncollected safety barriers lie two redundant DHL and Santander advertising hoardings. 2012 may have finally delivered a thriller, but in truth the money had long since run out. Valencia’s struggle to make F1 work financially is nothing new. Many a circuit have had a go before the difficulty of breaking even, never mind make a profit, became rapidly apparent. In the 21st century alone, five new circuits have been added to the calendar but since disappeared. Istanbul arrived on the scene in 2005 at a brand-new purpose-built track which cost $250 million to build. But it took two hours to get there from the city and failed to generate enough local interest. After hosting seven Grands Prix a financial dispute led to its contract being terminated and the government refusing to approve any more races on the grounds of cost. The story was much the same in South Korea – a brand new, purpose-built facility more than 200 miles from the capital Seoul that was difficult to reach due to a lack of suitable infrastructure. Hardly surprising, then, that ticket sales didn’t come close to covering the costs. It lasted just four years. In India, another new F1 track popped up on the outskirts of the capital New Delhi at a reported cost of more than $400 million. But problems soon arose. Only three years into a five-year contract, Indian officials and F1’s former ringmaster Bernie Ecclestone couldn’t reach agreement over what time of year the 2014 event would take place. A big drop in ticket sales after the inaugural 2011 event was compounded by the Uttar Pradesh government deciding to levy the taxes on the sport’s governing body, the FIA, for hosting the event. Why? Well, ironically, they classified Formula 1 as “entertainment” rather than sport. That meant organisers having to pay tax and duties on everything connected with the race, with fans also being required to pay an entertainment tax on tickets. Unsurprisingly, F1 never went back. Since the American firm Liberty Media took over the sport ahead of the 2017 season, it has failed to add a new event to the already-bulging 21-race calendar. But it’s expected that will soon change in 2020 with the addition of Vietnam to the schedule. It’s thought a deal could be announced within weeks. The venue is believed to be around seven miles west of Hanoi and will be partially street-based, unlike the purpose-built facilities which failed in Turkey, India and South Korea but very much like Valencia. Without any Vietnamese drivers on the grid, never mind a native double world champion like Spain’s Fernando Alonso, Hanoi has a tough task on its hands to keep its Grand Prix longer than many circuits which have come and gone before. This entry was posted in Uncategorized on October 17, 2018 by joeblogsonf1. Max Mosley has questioned Liberty Media’s decision to oust Bernie Eccleston from his position as chief executive of Formula 1, and said he would have “kept him on”. In his first interview since Ecclestone was moved aside, the former FIA president told me the sport’s new owners may find it “quite difficult” to cope without the 86-year-old, who ran F1 for nearly 40 years. The American firm completed its $8bn (£6.4bn) takeover of the sport in January. In September, Ecclestone said he had been asked to stay on for a further three years. But last month, F1’s ringmaster told the German media he had been “dismissed”, with vice-chairman of 21st Century Fox Chase Carey installed as his replacement. Ecclestone has been appointed chairman emeritus. When asked what Ecclestone’s legacy would be, Mosley said: “In a way Formula 1 is his legacy. “People tend to forget that probably the potential in the World Rally Championship is, and always has been, greater than Formula 1. Arguably also long distance racing like Le Mans. But Bernie came into Formula 1, and it was big when he came in, and he’s made it so much bigger. Carey has stated his wish to make races “bigger, more exciting, more successful”, and put “21 Super Bowls” on the calendar. He also wants to better promote the sport on digital platforms and drive up revenues. Has the American media giant underestimated the challenge? “It’s hard to tell,” said Mosley. “They may be brilliant and they may have the whole thing completely thought through. On the other hand they may find more difficult than they thought. Mosley said Liberty’s priority should be “growing the audience”- a task which many observers have noted may be difficult as the sport increasingly disappears from free-to-air television. However Mosley was in no doubt about the wisdom behind Liberty’s decision to hire former technical director and team owner Ross Brawn to help run the sport. Brawn, who masterminded all seven of Michael Schumacher’s F1 titles at Benetton and Ferrari before winning the title with Jenson Button at his own team, has been appointed to run the sporting and technical side of F1. “Ross completely understands the sport and he understands what needs to be done and he’s got an absolutely first class analytical brain,” said Mosley. New-for-2017 rules will see this year’s cars not only look radically different but become much faster. 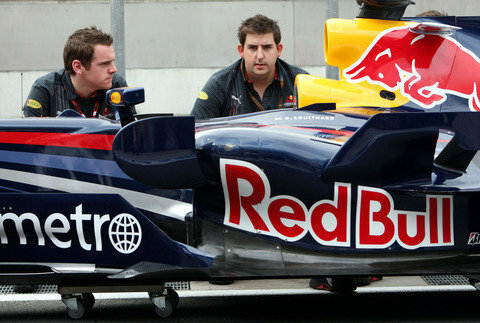 The tyres will be wider, as will the front wings and the main bodywork of the cars. The result will be more aggressive looking cars, huge downforce gains and lap times up to five seconds a lap quicker. But many have expressed concerns. More downforce and bigger tyres means higher cornering speeds, but wider cars need to punch a bigger hole in the air meaning slower straight line speeds. In theory, the combined effect will be shorter braking distances therefore potentially making overtaking more difficult. And Mosley, too, is worried. “My personal view is that it may have gone in the wrong direction,” he said. “I would have gone for less aero and perhaps more mechanical grip. This entry was posted in Interview and tagged Bernie Ecclestone, F1, FIA, Formula 1, Formula One, Grand Prix, Liberty Media, Max Mosley on October 17, 2018 by joeblogsonf1. Formula One legend Jim Clark was once asked in 1967 how he was enjoying being Graham Hill’s team-mate at Lotus. Even before the days of live telemetry providing the finest detail on a driver’s every move, their performance against the man on the other side of the garage was scrutinised the most. The only driver with the same equipment, nothing matters more in Formula One than beating your team-mate. In 1957, Stirling Moss and Tony Brooks were joint winners of the British Grand Prix at Aintree, after sharing driving duties in the Vanwall. It was the first time that a British built car had won a Formula One World Championship race – and the third and final time that a Grand Prix would be won by two drivers in a shared car. It is hard to imagine such a scenario now. Almost 60 years on, this weekend the sport returns home to the Silverstone circuit where Formula One was born in 1950, with bosses at the Brackley-based Mercedes team warning of major consequences if there is a fourth crash in six races between their warring team-mates Lewis Hamilton and Nico Rosberg. The pair have been given a “final warning” and a licence to race with no threat of team orders just yet, following their final lap collision while leading the Austrian Grand Prix a week ago. Friends during their karting days, their relationship since becoming team-mates at Mercedes has been turbulent to say the least, thanks to numerous on-track skirmishes in a car that is the class of the field for the third season in a row. Hamilton, who is chasing his third straight British Grand Prix win and Rosberg’s 11-point championship lead, said on Thursday that Mercedes’ beefed-up deterrents issued to the two drivers since Austria “doesn’t really change anything”. But success for Rosberg on Sunday might do just that, if Hamilton’s victories at the Northamptonshire track in 2008, 2014 and 2015 en route to his three world titles is an omen. This entry was posted in Feature and tagged British Grand Prix, F1, Formula 1, Formula One, Lewis Hamilton, Mercedes F1 team, Nico Rosberg, Silverstone, Sport on October 17, 2018 by joeblogsonf1. Only two men in history have ever clinched a third successive Formula One World Championship before attempting to defend it. The last time Michael Schumacher went about the feat with Ferrari, it didn’t go much better than his disastrous three-year comeback with Mercedes. One win – against only his team-mate and the back-of-the-grid Jordans and Minardis, in the bizarre 2005 United States Grand Prix – was all he managed. It was a year in which the prancing horse failed to grapple with a rule demanding drivers make a set of tyres last the entire race distance. For his fellow countryman Sebastian Vettel – now a triple World Champion at just 25 – managing the latest spec Pirelli tyres will once again provide the biggest challenge of the season ahead. And after it was deemed last year’s rubber was ‘too good’, the drivers can expect more rapidly degrading tyres in 2013 – the kind of which Pirelli promised and delivered when they became the sole tyre supplier two years ago. Good news, then, for McLaren, who arguably possess the driver line-up best able at preserving tyres, which others might rip to shreds within a matter of laps. Joining the silky-smooth 2009 World Champion Jenson Button at the team’s Woking HQ is Sergio Perez. The 23 year-old Mexican impressed in his two-year stint at Sauber – particularly at Monza last year, when he made his first set of tyres last until lap 30, thus enabling him to climb from 13th on the grid to second on the podium. Unfortunately for the team in search of its first Constructors’ Championship in 15 years, the general consensus is that the Woking-based team will not be the pace setters at the opening race in Melbourne. Beginning the season off the pace has not been an uncommon theme for McLaren in recent years, but their ability to develop a sluggish car is well documented. With the most experienced driver on the grid in Button, it would take a brave man to bet against McLaren turning their seemingly poor testing form around. One man who won’t be hoping for an upturn in McLaren’s pace is Lewis Hamilton. After six seasons and 21 wins, the Stevenage-born 2008 World Champion has moved onto pastures new with Mercedes. On the final weekend of the testing in Barcelona, Hamilton and team-mate Nico Rosberg lit up the time sheets with blistering pace. Hamilton, though, has been keen to play down expectations all winter, saying: “we will definitely be able to win a race at some point.” You’d hope so. With only one win since the championship-winning Brawn team was bought out by the German manufacturer three years ago, anything less than two wins in 2013 will be a massive disappointment for the Silver Arrows. Joining Hamilton, Button and Force India’s Paul di Resta in Formula One this year is Marussia’s Max Chilton, making it four British drivers on the grid for the first time since the 2008 Spanish Grand Prix. The 21 year-old from Reigate won races in GP2 last year and had a successful outing during practice for the Abu Dhabi Grand Prix. But with four other rookies out to impress – in what is a relatively inexperienced field, with no drivers who competed in the 20th century remaining – Chilton will have to work hard to keep his seat into a second season. In the midfield, preseason testing form suggests it will be as tight as ever. Like Mercedes, Lotus and Williams will be hoping to build on their solitary wins of 2012. But reliability issues and a general lack of mileage, respectively, make it hard to gauge how regularly they will be challenging the front runners. As far as the championship is concerned, a repeat battle between Vettel and Ferrari’s Fernando Alonso is looking likely. The Spaniard drove magnificently last season, dragging a car into championship contention that frankly had no place to be fighting the might of Sebastian Vettel’s Red Bull. There is no doubt that start-line accidents in Belgium and Japan – for which he shared no blame – denied him the World Championship. But rather than hope for better luck, a vastly improved car from the one designed at Maranello this time last year will be a more reliable way of ensuring the 2005/06 World Champion secures a third world title. Alonso sounds happy so far, declaring the F138 “200 times better” than the F2012 chassis. Let’s hope he’s right. For without a giant leap forward in car design, the prancing horse will remain inferior to the charging Red Bull. Even in Alonso’s hands. This entry was posted in Comment and tagged 2013, Alonso, Button, F1, Ferrari, Formula One, Hamilton, Marussia, Max Chilton, Mclaren, Melbourne, Mercedes, Red Bull, season preview, testing, Vettel on March 6, 2013 by joeblogsonf1. 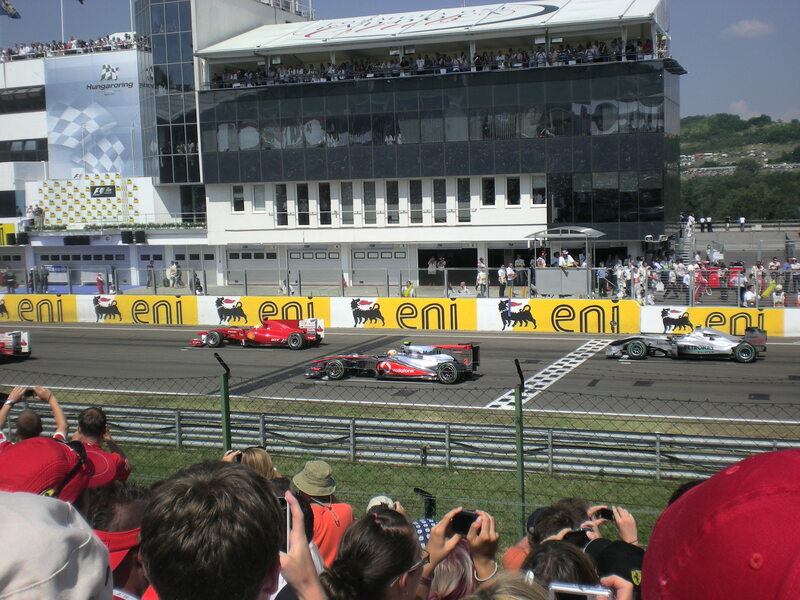 It remains unconfirmed at the moment, but it is highly likely that the Nurburgring will be announced shortly as venue of the 2013 German Grand Prix. The circuit has hosted the German race and the European Grand Prix over the years. Located around 43 miles south of Cologne, the circuit is a much shorter version of the 14 mile Nordschleife track which had claimed so many lives in previous decades. The modern facility may not be the legendary challenge of the 14 mile Nordschleife, but it has certainly delivered some memorable races over the years. In 1999, Johnny Herbert snatched a magnificent win for the Stewart team. Six years later, Kimi Raikkonen was dealt a cruel blow after suffering a tyre failure at the beginning of the last lap while leading. So what do fans planning a trip to the Nurburgring need to know? After Briony Dixon’s excellent guide to the Hungaroring, in this third edition of my F1 traveller’s guide, Anthony French is back, following his valuable Monaco Grand Prix insight last week. Here, he shares his experience from the 2007 European Grand Prix at the Nurburgring – a race which fans in the UK had the pleasure of listening to Murray Walker commentate on for BBC Radio 5 Live, while regular commentator David Croft was on paternity leave. “I made my own way to the Nurburgring, staying at a local B&B roughly 5-6 miles from the circuit, which cost between 20 and 30 euros a night even at inflated Grand Prix weekend prices – very reasonable. “I had travelled to Germany via P&O ferries from Hull to Rotterdam then onwards by car (allowing two days to get to the circuit in time). “Surprisingly, the Nurburgring was an easy circuit to navigate where parking arrangements are concerned. “It was simply a matter of finding the correct entry gate (most of which are located near the circuit’s main entrance) and driving straight into a convenient parking spot. “Walking from the car was however a little more awkward and not for the elderly or infirm – pathways are little more than bumpy, with muddy tracks which are terrible after rain (which it did with vigour in 2007!). “In 2007 I was sitting in stand T11 – opposite the Kumho Kurve and opening sequence of corners. “Considering the traditionally uniform nature of racing at the new Nurburgring, prices were surprisingly high and on a par with ‘blue-riband’ races such as Monaco and Spa – 277 euros for a Sunday-only grandstand seat. “The 2007 race did not disappoint however, and the T11 stand is an excellent place to sit for first-corner action and the sight of the cars plunging downhill at full chat later in the lap. “Beware of the local weather though! The T11 stand is supposed to be a covered stand, but strong winds often drive the rain under the canopy and soak large sections of the crowd. “Toilet facilities were plentiful at the 2007 event, as were merchandise stalls and food outlets. As is the case with most F1 events, these were rather highly priced and worth avoiding if you value the contents of your wallet! “Be prepared for all kinds of weather. “If possible, book into a covered stand. “Remember your walking boots for the walk from car park to circuit. This entry was posted in Uncategorized on January 12, 2013 by joeblogsonf1. The Hungarian Grand Prix joined the Formula One calendar in 1986. 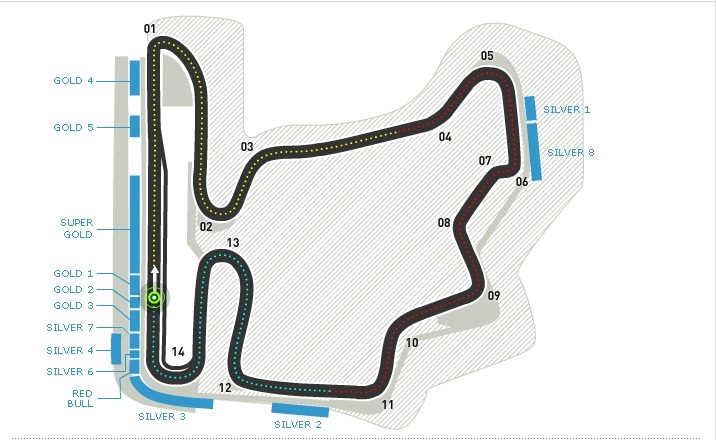 The tight, twisty Hungaroring circuit near Budapest is now an established venue on the F1 calendar and a demanding test for the drivers. There is barely a moment for the drivers to relax on this 14 turn, 4.3 kilometre track over 70 demanding laps. Due to its usual scheduling in deep into the summer months, the drivers and fans can normally expect scorching temperatures. However in 2006 it was an unusually wet race that helped Jenson Button secure his maiden Grand Prix win at his 113th attempt. There have been some other similarly memorable Hungarian Grands Prix down the years, too. At the 1992 event, Nigel Mansell achieved his lifetime dream of becoming Formula One World Champion and year later Damon Hill claimed his maiden win. Few people can forget the 1997 race, though, when Hill, driving the Arrows, fought his way past Michael Schumacher’s Ferrari, only to later relinquish his lead with mechanical trouble. Those memorable races aside, the circuit developed a reputation for delivering dull racing, with little opportunity to overtake. But with the advent of KERS, DRS and the new generation Pirelli tyres, as with most circuit, this has changed and the racing has improved. So, what do F1 fans who want to go to the Hungaroring need to know. Following Anthony French’s low-down on the Monaco Grand Prix experience last time, in this second edition of my F1 travellers’ guide, Briony Dixon – who has attended the Hungarian Grand Prix on a number of occasions – gives her hints and tips for fans seeking advice on how to get to this ever popular Grand Prix in Budapest. “For me, once the passionate and energetic atmosphere of the Hungaroring had been experienced, it was inevitable that it would become an annual visit, hence tickets for the 2013 Hungarian Grand Prix being booked back in October. “Each of my three visits so far have been arranged independently and travel to Budapest and subsequently to the track have varied each time. “The first time, we flew to Budapest then hired a car as the circuit lies approximately 25km away from the city. The second visit was the final destination of a road trip across Europe so again, we drove from the city to the circuit. “Reaching the circuit by car from Budapest is easy because it is straight down the motorway. “However, once you enter the circuit, queues start to form as cars filter into the car parks. Leaving an hour for this is advisable, especially for qualifying and race day, more may be needed if you arrive later. “Being in a queue at the Hungaroring is the best type of queue you will ever experience, providing you leave enough time, because you will be surrounded by fans walking to the circuit waving flags and chanting. “This coupled with the sound of the helicopters overhead stirs your excitement and ignites your passion. Driving to the circuit can definitely be recommended and parking is free. “Last year we spiced travelling to the circuit up a little in the form of the free shuttle bus from Arpad Bridge metro station in Budapest. If you enjoy a good crushing and a brisk walk to and from the circuit from the drop off point, then this is the form of travel for you. “Getting to the circuit isn’t too bad, neither is coming back on the Friday and Saturday, as fans trickle out of the circuit at different times. “Race day, however, is another story. With the Formula One race being the finale of the weekend, everyone leaves at the same time, making getting on to a bus rather unpleasant. “On the positive side, it is a free service and runs fairly frequently. “When you buy a weekend ticket you are given the opportunity to do the Thursday pit walk. “The circuit is opened between 4 o’clock and 7 o’clock and allows the fans a chance to walk along the pit lane to see the mechanics in action in the garages. “There is also a driver signing. Ensuring you get to the circuit early to get to the front of the queue for this experience is vital because the drivers only sign for a limited time and the pit lane gets severely congested. “Travel to the circuit on a Thursday is interesting. The shuttle bus doesn’t run, but there is a train that runs from Ors Vezer Ter station every half an hour. “Arriving at Mogyrod, there is then an hour long walk to the circuit. When leaving the circuit they block off certain entrances, including the one you use when you arrived by train. This meant that we had no idea where we were going to get back to the station, so we followed the advice of stewards at the track which was wrong! “Having been sent in a particular direction to find the train station, we walked for about 4km, only to then be told we were 10km away! Befriending some American McLaren fans, between us we finally managed to reach Budapest three bus journeys later. “The circuit is short so you can walk around the whole thing, the positive side of this being that you can reach the F1 village from wherever you are watching the race. “I have watched the race from the Gold 2 grandstand on each visit. Not only is it right above the grid but you also get a great view into the Red Bull garage. “Taking binoculars is a must and enables you to spy on the other teams in addition to Red Bull. Changes have been made to the grandstands for 2013 and the old Gold 2 is now included in Gold 1. “If you want to position yourself in a place with a high chance of seeing some overtaking, then Gold 4 at Turn 1 would be a good choice. “The track is great for those with general admission tickets as there are vast grassy areas that are elevated enough to gain a good view of the track without being too hilly or uncomfortable. This entry was posted in F1 travel guides, Grand Prix experiences and tagged access, advice, Budapest, car, F1, fans, Formula One, general admission, grandstand, hints, Hungarian Grand Prix, Hungaroring, Hungary, parking, queues, shuttle bus, tips, traffic, train, travel, travelling, views on January 11, 2013 by joeblogsonf1. Getting a Formula One car to the other side of the world and onto the grid in front of thousands of spectators and millions of television viewers is no simple task. Before the Lewis Hamilton’s and Sebastian Vettel’s of this world can even think about turning a wheel, there are a myriad of processes that need to happen before an F1 car is ready to race. In the first edition of my F1 insight series, McLaren Design Engineer Alistair Niven explained the design process – the most essential phase in the development of a Grand Prix car. The next, crucial job is for the team of mechanics to ensure the car is ready to be tested and then raced. 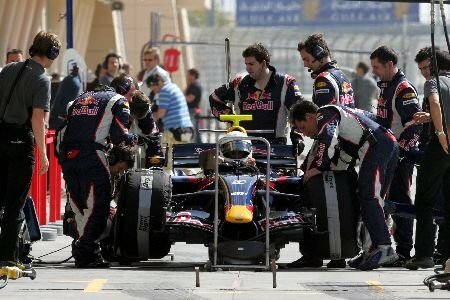 I’ve been speaking to former Red Bull Racing mechanic Dan Fox about life on the road and the demands of the profession. He started by telling me it was a job he aimed for from a very young age. But for Dan, the journey to achieve his childhood dream of becoming an F1 mechanic was a long one, involving a lot of hard work and dedication. “I worked my way up the ladder in the junior formulae, a bit like most F1 drivers”, he said. “I started off at an indoor kart track called Magna Karta in Milton Keynes while I was at school. While I was working there and doing my GCSE exams I would send letters and CVs to race teams in the area. “At the end of 1997 Fred Goddard from Fred Goddard Racing called me over for an interview and I started there in early 1998. It wasn’t long, though, before Dan started working with some of the stars of the future. In 1999 he worked in Formula Renault and a year later moved onto British F3, working with Gary Paffet. The following year was another Formula Renault campaign – this time as a mechanic for current Formula One driver Heikki Kovalainen. After a few more years in British F3 and the World Sportscar Championship, Dan finally achieved his goal of becoming an F1 mechanic. His F1 career began with Red Bull Racing in 2005, with whom he would remain for five years, working with the likes of David Coulthard, Mark Webber and reigning World Champion, Sebastian Vettel. “The job was very much as I expected it to be”, he said. 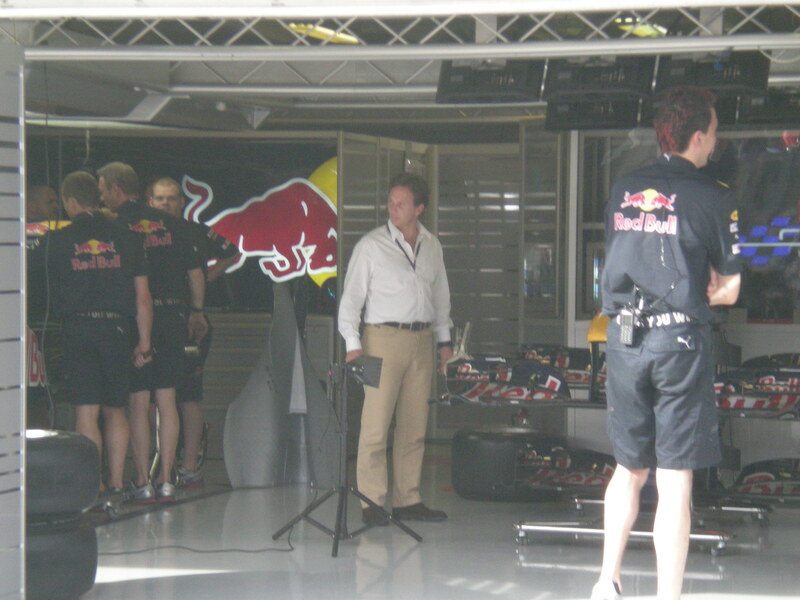 Although a familiar environment from his time working up through the ranks, Dan was keen to stress the demands of his role with the Red Bull team. “The most demanding aspect of the job was the long hours and time spent abroad”, he said. “When I was in F1 there were no curfews and in those days we had in-season testing. “Sometimes we would work from 6.45 in the morning through to 4am the following day, for three days in a row at tests and race weekends. “After a Grand Prix ends and TV viewers at home tuck in to their Sunday lunch, F1 personnel are just about to start another days’ work, packing everything away and prepping the cars ready for transport back to the factory or the next race. In his five years with Red Bull Racing, Dan said his favourite moment was the 2006 Monaco Grand Prix, when David Coulthard picked up a third place finish – a huge achievement then, for a team that has made a habit of winning the Drivers’ and Constructors’ World Championships in recent years. 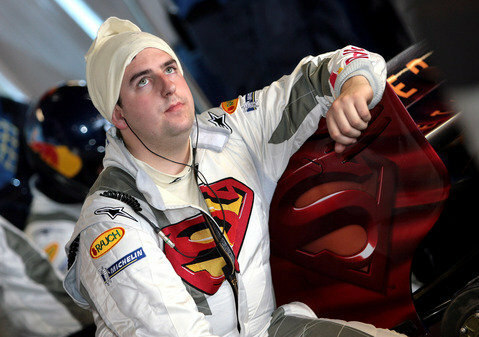 It was a race weekend when the team were sponsored by the Superman Returns film, and Coulthard duly wore the Superman cape during the podium ceremony. One of his most challenging tasks as an F1 mechanic, however, came a month later in Montreal. 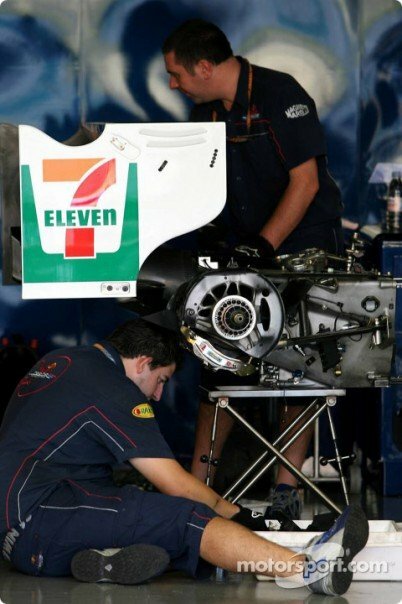 “We had one hour to change an engine in David Coulthard’s car before the start of the 2006 Canadian Grand Prix, after it had an air leak from part of the pneumatic valve system”, he said. “Later that season we had a major fuel leak on Christian Klein’s race car at the Hungarian Grand Prix and we could not fix this in time, so we had to use the spare car that day. “For me, the worst moment, though, was in 2007 when Vettel (then driving for Red Bull’s sister team Toro Rosso) hit Webber during the safety car period at Fuji in the Japanese Grand Prix. 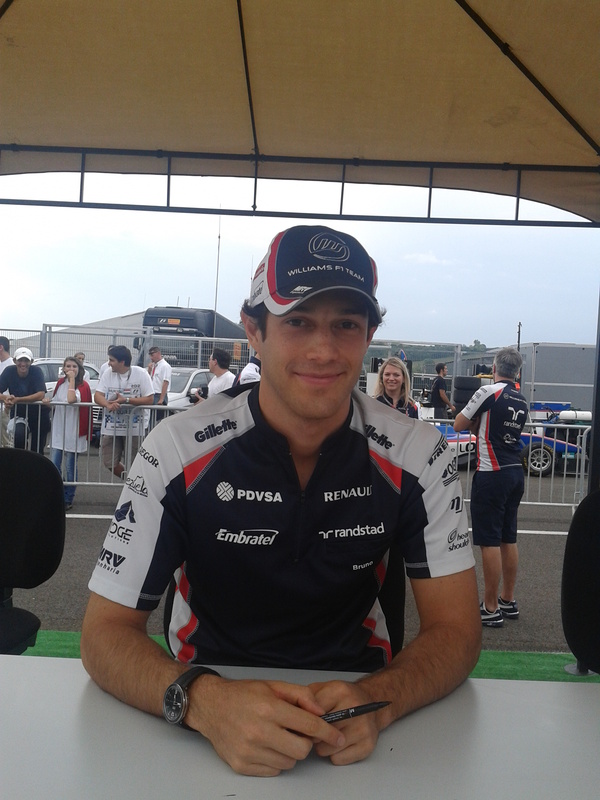 “We could have won that race and Webber had battled to drive with food poisoning. At the pit stops, Dan was initially responsible for putting one of the front wheels on before he later took charge of the rear jack. Unfortunately for Dan, his F1 career came to an end in 2009. He had recently moved over from the Red Bull race team to the test team, which made him redundant when the ban on in-season testing came into force that year. His advice to any aspiring F1 mechanic? This entry was posted in F1 Insight, Interview and tagged 2006, advice, Barcelona, beach, British F3, Canadian Grand Prix, Christian Klein, Dan Fox, David Coulthard, design, dream, F1, F3000, Formula Ford, Formula One, Fred Goddard, Fuji, Gary Paffett, goal, Grand Prix, Heikki Kovalainen, interview, Japan, life on the road, Magna Karta, Mark Webber, mechanic, Melbourne, Monaco, Red Bull, Red Bull Racing, Sebastian Vettel, Silverstone, Steve Matchett, Superman Returns, Team Fox Racing, World Sportscar Championship on January 9, 2013 by joeblogsonf1. Can the Circuit of Wales deliver the next Welsh F1 driver?